The reported resurgence in the popularity of poetry suggests a broader hunger for brevity, for lean literary art. 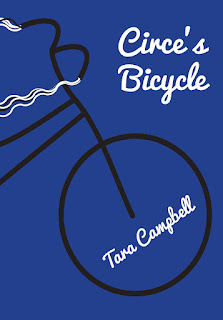 Tara Campbell is ahead of curve. Though her first book was the novel TreeVolution (Lillicat Publishers, 2016), she has been writing poetry and flash for years and teaches flash fiction across the DMV area. 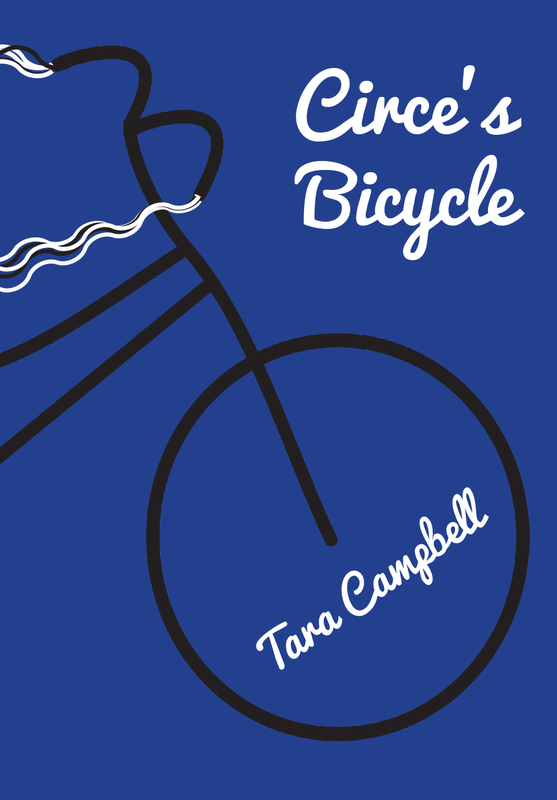 Tara Campbell's second book, Circe's Bicycle (LitFest Press, April 2018) is a collection of flash fiction and poetry. 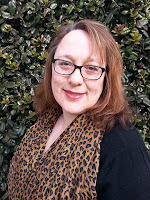 We talked about creating the connective tissue in a flash and poetry collection, writing the dreaded “what if,” and the difference between writing long and writing short. Your second book, Circe’s Bicycle, is a collection of flash fiction and poetry. What inspired you to bring those two forms together in one collection? What is about these two forms that works well together? Let’s talk about “We are Twenty-Six,” one of my favorite pieces in this collection. It’s a deliciously fabulist meditation on stagnation and addiction—told from the perspective of twenty-six renegade teeth. How did you combine these two seemingly disparate ideas: stagnation and teeth? I tend to fixate on the worst-case scenarios for any situation that comes my way, no matter how unlikely I know my imagined outcomes are. I’ve always ground my teeth in my sleep, but for some reason, I didn’t really stress about it that much until I went to a new dentist. She’s very thorough and competent, and explained to me what grinding was doing not only to my teeth, but also to my gums. So of course my brain created the most ridiculous image of all my teeth spontaneously spilling out of my mouth, and I suppose that combined with my concern about becoming stagnant as a writer (I see all my fellow writers’ heads nodding out there), and this story is the result of those two anxieties. Because that’s what writers do, isn’t it: we fixate on something and then have to write through it. Along those same lines, the title story, “Circe’s Bicycle,” evokes the siren call of a particular form of escapist grief. A giant bee that carries away a mother who is mourning her child. Can you talk a little bit about how that story came together? This story came out of a dream where I was in a room with a small insect that was growing gradually bigger and more threatening, and I was trying to figure out what it wanted from me. I usually don’t write from dreams because the resulting stories can so easily wind up going nowhere. But there was such a curious combination of dread and fascination in the dream, I had to figure out what that was about. I suppose it’s also about love and vulnerability. When you really fall in love, whether with a partner or your children or whomever, it’s like a little piece of your heart is no longer safe inside your chest, but walking around on its own. It’s a beautiful and terrifying thing. You start to think about how easily everything could change, and while on the one hand you’re happy and grateful, you also have to face the realization that there’s no way keep your loved ones completely safe in the world. Flash is having a moment these days, but you’re not new to the form. You teach flash in various places, including The Writer’s Center, American University, and the National Gallery of Art. What do you think it is about the form that appeals so much in 2018? Well, the first thing that comes to mind is the trend toward distraction (i.e. multitasking) and shorter attention spans, and some people may feel that’s a simplistic answer, but I think there is something to it. It speaks to a deeper anxiety about not having enough time to absorb all of the information coming at us today. Books, TV, movies, music, news, fake news—it’s no longer enough to read; we have to read even more to figure out if what we’ve just read is real. It’s easy to feel overwhelmed and stressed, and flash fiction can be a brief respite from that. It’s not written as fact, yet it can express truths that are often drowned out in all the media whizzing around us. Flash is also super accessible. There’s lots of amazing flash online, most of it for free, which means readers can experience a story at any time on their phones wherever they are. Perhaps there’s an element of commitment-phobia or FOMO to the trend toward shorter forms, but I view that in a more positive light. In a world where we all feel pressed for time, flash allows readers and writers to experiment without inhibition. We can try a new author/voice/form, and concentrate entirely on that one thing, without fretting over “losing” the time we’re dedicating to it. 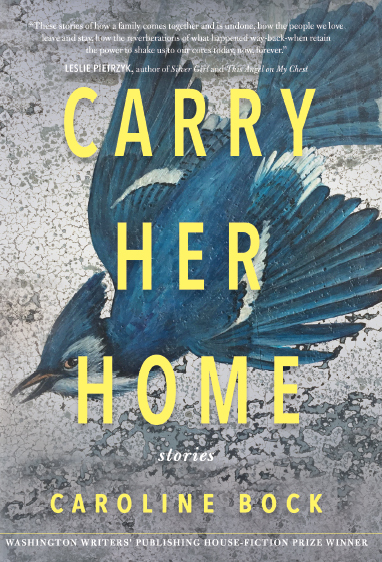 If someone who doesn’t think they have time to read a whole novel still carves out time for flash fiction, that’s a good thing. The prospect of resolution is also a powerful motivator. There is peace in being able to complete something, read or write this one little story, to feel like you’ve understood at least one thing in an endlessly complicated world. Your first book was a novel (TreeVolution, Lillicat Publishers 2016). How did you transition from writing long to writing short and back to long again? How do the demands of long-form work differ from those of flash for you? I have to admit that I don’t normally start a story knowing exactly where it’s going or how long it’s going to turn out. Most of my work starts out with a “what-if” and I spin out various solutions until the story sorts itself out in my head. Poems are a little different, because they usually come to me when I’m pissed off about something. But if I figure out I’m writing a book, I’m like, “Oh crap, here we go,” because we all know novels aren’t easy. When you’re lucky, it’s the subject matter, the problems you throw at your characters and solutions they come up with, that keep you going, no matter what the length. I’m usually working on both short and long projects at the same time. Quite often the poems and stories are safety valves for the longer work. When I get stuck on a book, being able to turn to a more immediate goal like a story is much better than shutting down altogether. Above all, I try to keep writing. Even as you move across forms and genres, are there themes and questions that consistently spark your curiosity and drive your work? As I mentioned earlier, I often write poetry in response to something that pisses me off—violence, racism, sexism, all the -isms. That doesn’t necessarily mean an angry poem comes out of it. Some poems come out playful and hopeful, imagining the world that might be if those various -isms were kicked to the curb, like “When Peanut Butter Baby Ruled the World.” Sometimes real-world problems morph into imagined worlds, and other times imagined worlds become places to speak to real-world problems and examine human nature. I get a lot of ideas from the news and popular science articles. Yes, of course additional research is required, but things like IFLScience and stories on NPR fuel a lot of great ideas. In fact, it was a radio segment about scientists listening in on thirsty trees on that inspired my novel TreeVolution. What do you read to fuel your work? Do you read flash when you’re working on flash, for example, or do you read across genres? Whose work inspires you? I often say I write science fiction for people who don’t think they read science fiction, and that’s what I like to read as well. My favorite speculative fiction considers possible futures while remembering that the science should be in service of the story, not the other way around. Margaret Atwood is a master of this, whether the primary focus is political, as in the The Handmaid’s Tale, or our bioengineered world, as in her MaddAddam series. Station 11 by Emily St. John Mandel is another example of speculative fiction that crosses genres: dystopian with a lush, literary feel. I’ve always read across genres, and all over the map: Ray Bradbury, Alice Munro, ZZ Packer, Barbara Kingsolver, Ursula le Guin, Mitchell S. Jackson, Octavia Butler, Joyce Carol Oates. I went through a big John Irving phase, and Christopher Buckley’s always good for a laugh. Hitchhiker’s Guide was huge for me, naturally, and I read all the books in the series. And I’ve found wonderful additions to my reading list by going to local readings. I encourage folks to support their local authors, not just the big names, because there’s a lot of talent on the ground. I think at last count there were approximately eleventy-billion amazing writers in the DC-metro area. What books do you recommend to writers interested in exploring flash? Reading lots of flash and finding stories that make you shiver is the best way to go. There are lots of journals available online, mostly free, so enjoy! Of course, I have to start with Barrelhouse (full disclosure, I’m a fiction editor there). But there’s also (b)OINK, Brevity, CHEAP POP, Cotton Xenomorph, Ellipsis Zine, Every Day Fiction, Flash Fiction Online, Heavy Feather Review, Jellyfish Review, jmww, Journal of Compressed Creative Arts, KYSO Flash, Literary Orphans, Lost Balloon, Matchbook, PANK, SmokeLong Quarterly, Spelk, Split Lip, Tin House, Vestal Review, WhiskeyPaper, and Wigleaf. And then there are the compilations like Best Small Fictions, Wigleaf 50, and Best of the Net (this last one isn’t restricted to flash). I always hesitate to single out individual authors, because I know I’ll remember dozens more I should have added once the thing goes to print. But I will mention some contemporary writers whose stories I’ve taught in flash courses: Amber Sparks, Rion Amilcar Scott, Kathy Fish, Jan Elman Stout, Kathryn Kulpa, Brynn MacNabb, Christopher Gonzalez, Tyrese Coleman, Tessa Yang, Dorothy Bendel, Cathy Ulrich, Jennifer Young, Megan Giddings, Ben Loory, Miranda Stone, and Virgie Townsend. What are you working on these days? Any new projects on the horizon? My eternal book project still looms large: a historical novel about a “troupe” of Ashanti (now Ghana) on an ethnographic tour to Vienna, Austria in the late 19th century. I came across an Austrian author’s account of this exhibit while working on my MA in German, and I couldn’t believe what I was reading. These ethnographic exhibitions, in which human beings were put on display, sound more like an episode of The Twilight Zone than history. But they actually happened, often taking place in zoos. I wanted to know more, and particularly from the perspective of the people on display. This project a bit of a departure from anything I’ve done before, but the story so captivated me, I have to keep chipping away at it. Tessa: Why did you decide to write NAKED JOY? Nan: Born with a passion for writing, I had written stories for years about people, places and events around the world that intrigued me. Most of these wound up in a large dress box under my bed. Bolstered by the confidence and skills acquired through writing courses taken over the years, I eventually assembled those earlier works, along with some newer, into a collection of essays. My book, NAKED JOY, Confessions of a Skittish Catholic from Idaho, was published in July, 2017. Tessa: How did your time at TWC impact your writing? 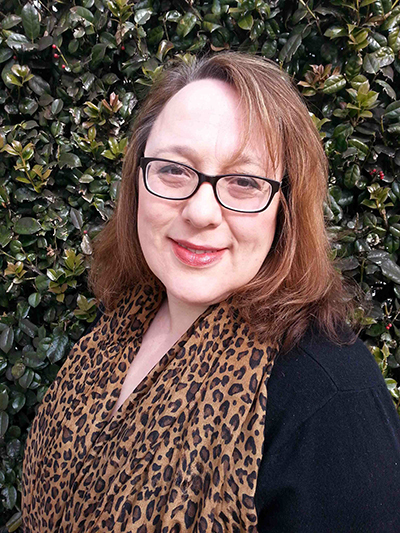 Nan: The courses I have taken at TWC over the past fifteen years have inspired me to continue writing, polishing previous work, honing my skills, and above all, refusing to give up. Experienced instructors/authors along with fellow classmates provided invaluable feedback. They offered both the praise and criticism I needed to refine my manuscript into a book worthy of publication. Tessa: What kind of impact are you hoping your book will have on the world? Tessa: What is the most difficult part of your artistic process? 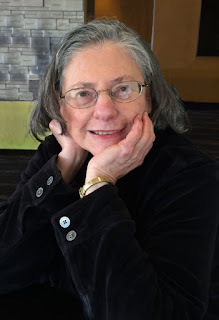 Nan: Without doubt, the most difficult part of the artistic process for me is the sharing of deeply personal, sometimes painful events with my readers, many complete strangers. An introverted, private, highly sensitive woman, I had to overcome this obstacle in my attempt to write honest, factual, believable stories. 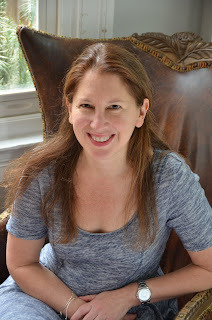 Tessa: Did publishing your book change your writing process? Nan: Publishing my book only changed my writing process in that I now have more confidence in myself. For years I could push my work aside and listen to that gnawing voice inside my head—“Face it. You are never going to be published. Give up!” This excuse is no longer valid. And it doesn’t hurt that sales have exceeded my expectations. Tessa: What are you working on now? Nan: I am currently working on writing a book about writing a book. After a decade of toil and countless rejections, I believe I have a story of interest for both writers and readers. I like to say “everything in the publication process that CAN go wrong, DID go wrong for me.” From shady agents, to lost submissions to computer catastrophes, I experienced some of the worst. But the highs made up for the lowest of lows and I survived. All should make for an enlightening, astounding, sometimes humorous, often infuriating, first-hand account of the world of publishing. Tessa: Do you have any advice for aspiring writers? Nan: Here is my advice for naïve, aspiring writers like myself a short time ago. Besides the usual “don’t give up, develop a thick skin, believe in yourself,” etc., I might add—“BEWARE!” There are many “publishing experts” out there eager to help you in your quest to publish your work. And they will find you and contact you and entice you with promises for success. And they will want to charge you incredible fees with NO guarantees. These people seem to prey upon indie writers trying to make it on their own. I am not saying there aren’t some who are reputable and honest and able to help. But the money most are demanding is difficult to justify and their success rates highly questionable. With some effort and time, most writers can do for themselves what these professionals are promising. A writer and not a business person, I found myself learning more about marketing and publishing than I ever wanted to know, but my hard work paid off in the end. Tessa: Is there anything else you'd like to share? Nan: Not to boast, but my cousin’s grandfather—that would be my father’s sister’s husband’s father—helped invent the TATER TOT. And who doesn’t love these frozen Ore-Ida gems? Nan Kilmer Baker hails from Idaho, the “Famous Potato” state, where she began writing as a young girl and never looked back—moving from diary entries to ghost writing term papers to copy writing. 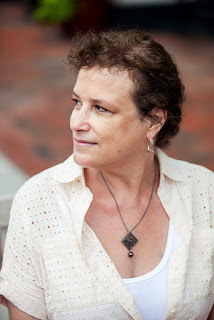 NAKED JOY is her first book, but in her dependably quirky blog she has been musing for years about topics as diverse as Mr. Clean, travel, toilets, butter and stain removal. Nan is the mother of two young adults. Having lived abroad for years, she currently resides in Northern Virginia with her husband—and other treasures she collected during her travels. Tessa Wild: Why did you decide to write A Woman of a Certain Age? TW: How did your time at TWC impact your writing? Did it impact your career in any way? MO: I have taken several poetry workshops at TWC and found them helpful in allowing me to improve my skills as a writer. TW: What kind of impact are you hoping your book of poetry will have on the world? MO: As noted above, age-related issues affect or will affect everyone. I hope my take on personal stories as well as more “worldly” events will add to the dialogue about how we can make our world kinder and understand that we all share things in common, such as our reaction to losing parents, illness, feeling validated, coping with a rapidly changing universe. 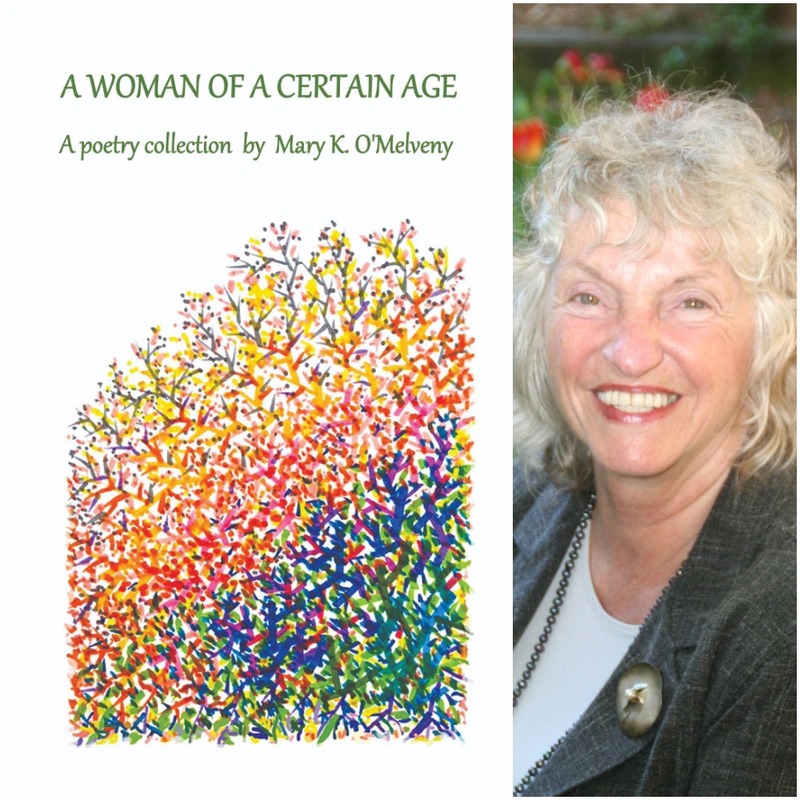 Some poems in the book, however, are also meditations on the state of the world in which we are all struggling to survive, regardless of age. TW: What is the most difficult part of your artistic process? MO: I think there are three answers to this questions: (1) Deciding when a poem is “done” and ready to be read/heard by others. (2) Being willing to “take chances.” Not trying to wrap everything up at the end of the poem. (I am a retired lawyer so my legal writing always required “conclusions,” a habit that is hard to break.) (3) Finally, accepting “rejections” and continuing on with a clear heart. TW: Did publishing your first book change your writing process? MO: It felt very validating (see the last part of my answer above). TW: What are you working on now? 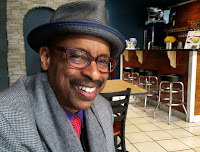 MO: I am working on a new book titled “Merging Star Hypotheses.” It is a mix of personal and political poetic responses to our troublesome times. I am always inspired/outraged by something in the news. MO: Write every day. The world is filled with poetry prompts. Also, try to find a supportive writer’s group that is both “safe” and able to give constructive feedback. TW: Is there anything else you'd like to share? MO: I live part of the time in Washington DC and part of the time in a country home near Woodstock, NY. The contrast between these two places could not be starker -- so my “place” at any moment often informs the topics I decide to write about. My Woodstock-based/inspired poems are a lot more about the natural world. The DC-based ones often focus more on whether that world will survive. Mary K. O’Melveny's poems have been published in various print and online journals as well as blog sites such as “Writing in a Woman’s Voice” and “The New Verse News.” Her poem “Cease Fire” won the 2017 Raynes Poetry Competition sponsored by Jewish Currents Magazine. Her poem “A Short Bibliography of Secrets” (included in her book) was a finalist in the 2018 Tom Howard/Margaret Reid Poetry Contest as well as a finalist for the 2017 Pangaea Prize sponsored by The Poet’s Billow. Poet Lore executive editor and beloved poet E. Ethelbert Miller has hit another home run with his 16th book, If God Invented Baseball. Drawing on his love of sports and baseball's zen like quality, the 49 poems in Miller's new book center around America's favorite pastime. B. Perryman caught up with the Bard of Baseball just in time for spring training. BP: This is your 16th book and your first about baseball. What separates these poems from your prior works? 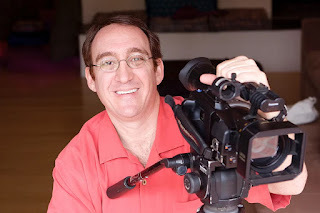 EEM: I’ve become a better writer after years of editing and teaching. I felt when my collected poems edited by Kirsten Porter and published by Willow Books (2016) came out it marked the end of a chapter in my life. 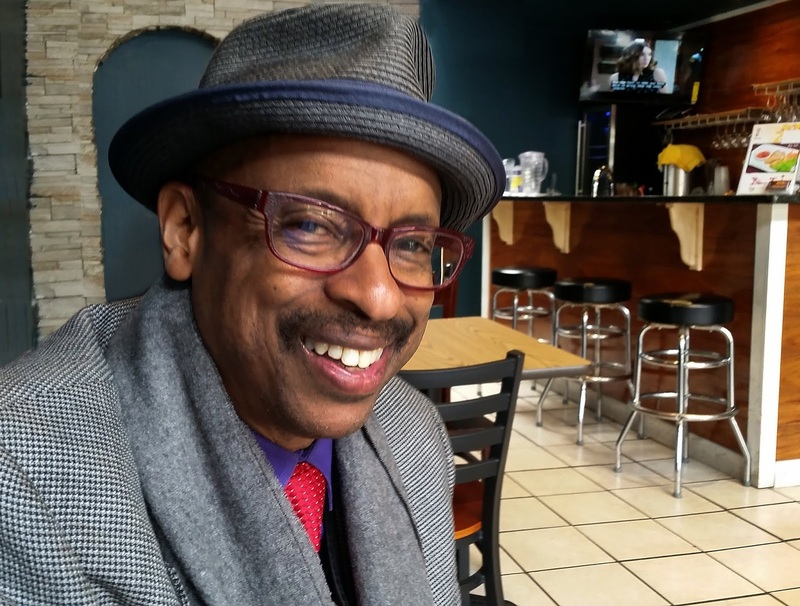 Many of those poems were written during my 40-year tenure at Howard University. Since departing from Howard I’ve grown considerably as a result of new opportunities and having more time to read and write. The increase in my leisure time has provided a chance to watch and attend more baseball games. I like how If God Invented Baseball is a collection built around one theme. 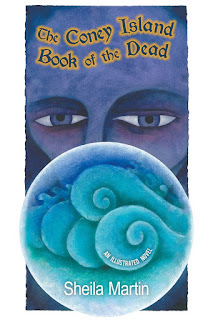 One will find in this book the game explored from many angles and in a variety of poetic forms. 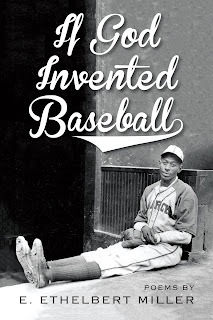 I’ve always made references to baseball in my work but this new book is an expansion of love. BP: Who is your favorite team? Favorite player of all time? EEM: I’m a Washington Nationals fan. I’m happy baseball returned to this city before my last inning. All major cities need ballparks and teams that help develop a sense of community. Look at the importance of the Houston Astros winning the World Series last year after the city of Houston was hit with a terrible hurricane. I love that the Nats play just a subway ride away. Growing up I lived not far from Yankee Stadium in the Bronx, so the Yankees were the team I cheered for during my childhood. There are many references to people who played for the New York Yankees in my new book. But I guess my heart will always have a special place for Sandy Koufax who pitched for the Dodgers. When Ichiro Suzuki entered the major leagues in 2001 he was the player I began to follow daily. But going back to my favorite team The Nationals, I’m a fan of Bryce Harper, Trea Turner and Michael A. Taylor. Oh, and I miss Dusty Baker. BP: How is baseball like poetry, for you? What do the disciplines have in common, and what makes baseball so compelling to write about? EEM: Baseball teaches one patience. Getting a hit is like trying to find the right word. Striking out can be like writer’s block. Standing alone in the outfield can be as lonely as sitting at one’s desk. We all want to make it to the majors; we what to be successful and win. Baseball instructs us that the majority of the time we won’t get a hit; we will seldom pitch the perfect game. Baseball reminds us that we are human and we make not just mistakes but errors. I find baseball compelling because it teaches me how to embrace aging. Every year there is spring training. An older returning player never knows if this is the season a youngster might take his place on the roster. We are all replaceable. I take comfort in the slowness of the game. I admire the beauty of a great fielding play or a majestic homerun. Trying to capture this on the page is what I attempted to do in my new book. BP: What is your writing process like? Do you have advice for budding (or established) poets? EEM: I’m always writing, especially on social media. Some of my poems begin with letters to friends. Lines start in emails and get posted on Facebook. I’ve written more poems the last two years than at any other point in my life. I write fast and revise when I’m sending things out for publication. I’ve been deeply grateful to have my friend Kirsten Porter work as my literary assistant. She is always providing excellent feedback on the new work I create. I’ve been visiting museums more and spending time with visual artists. This has help me look at poetry in terms of color and white space on the page. My daughter has returned to drawing and we’ve begun to have nice conversations around her work. I think it’s very important for poets and writers to be engaged with our changing world. I’ve been trying to add more science and technology to my diet. I want to create art that embraces the new while respecting the past. My advice to writers is that they always attempt to tackle the big philosophical questions – who are you? Why are you here? BP: When did you first know you were a poet? EEM: The idea of becoming a writer started during my college years at Howard. I gave my first public reading in 1969 at All Soul’s Church located in Northwest Washington. I read with poets Carolyn Rodgers, Askia Muhammad Toure, and Ebon. The jazz musician Marion Brown also performed that evening. My early poems were published in the college newspaper (The Hilltop) and read on the radio (WHUR-FM). Having an audience will encourage you to believe in yourself. BP: When did you first know you’d be a lifelong baseball fan? EEM: I love sports. One of things I most enjoyed was watching my son play basketball in high school and in college. He remains my favorite basketball player. I keep a picture of him on my desk and I always wear one of his NCAA rings. I admire my daughter for her passion for running and her discipline. Now that both of my children are married I look back at the past and realize it’s been a lifelong journey of not just loving baseball but other sports too. Maybe I knew I would be a lifelong fan after walking into Yankee Stadium as a young boy and looking at a field of green, a sea of grass. BP: What’s next for you? Dusty is no longer the Nats manager but what is baseball if not memories of the good times and the people that we loved. 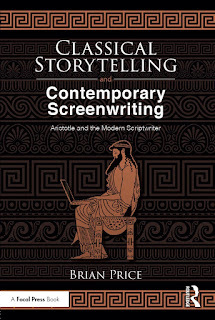 Any decent screenwriting program will tell its students that the very first writing manual was Aristotle’s Poetics, in which he examined the Greek tragedies of his day in meticulous detail to discern the patterns and recurring elements in the most successful ones. These programs usually have their students read it, discuss it profoundly, and then summarily forget about it as they deal with more contemporary filmmaking realities. Because what’s most interesting about Poetics, for writers today, is not what Aristotle had to say about Oedipus Rex. But what he had to say about Star Wars and Some Like It Hot. Because those observable patterns and universal principles he identifies and explores are not at all specific to Greek tragedy—but to EVERY successful dramatic narrative that’s ever been told. But for a full accounting of those principles and how you can utilize them in your own creative work to make it more successful (warning: shameless plug), you’ll have to read my book. In the meantime, I wanted to mention one of my favorite observations. His point is that, as writers, we must embrace the artifice of our craft. We tell lies—but we tell them to reveal a bigger, general truth, a truth about the human experience. I think about this whenever a student comes to me with a “brilliant movie idea” based upon some experience they had in their real life. They often think that if they can just get it down on the page precisely as it happened, it will make a great script. That’s because movies are not life. Though the best ones certainly illuminate something interesting about life. 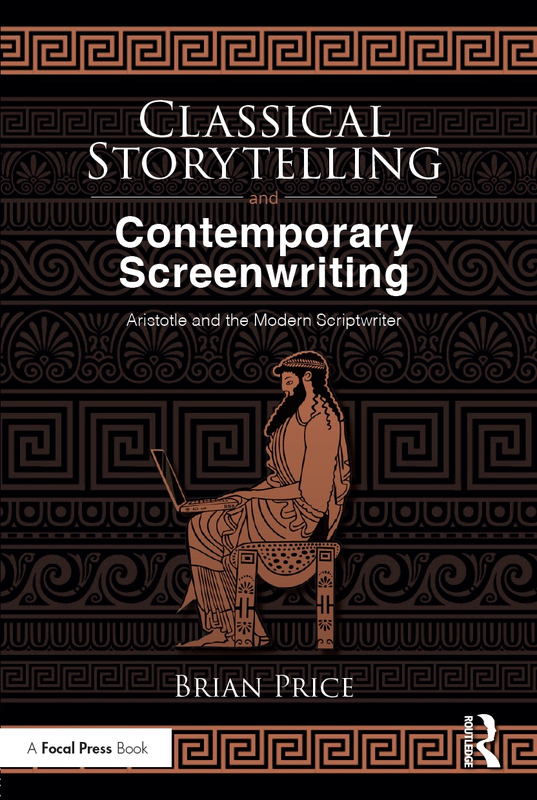 For Aristotle, dramatic writing is of a much higher order than historical writing since the latter is simply concerned with the particular, while the former is concerned with the universal. So a good story cannot simply be a depiction of events in another person’s life. It must show our lives reflected back to us in the experiences of that other person. And for Aristotle, a story cannot accomplish that when it is strictly bound to what HAS happened. Instead, it must dramatize what MAY happen—what is POSSIBLE according to the same laws of probability and necessity that govern all our actions and outcomes. Only then can we relate the events to what COULD happen to us. That is why the first rule in my writing classes is “…but that’s the way it happened” is barred from ever being spoken. I don’t care what actually happened. Your audience doesn’t care. The only valid reason for any choice you make in a story is that it makes the story BETTER. For no matter how well it is written, it will matter to no one but the writer and those who participated in that history. It will have no resonance beyond the particulars, since it is just concerned with recounting the facts, not getting at the universal truths that transcend those facts. But before you dream up some wildly fantastical movie premise, know that the opposite of this observation is just as true. For every real-life TRUE STORY OF MY CRAZY COLLEGE ROOMMATE, I’m pitched THE ROBOT HOBBITS OF NINJA ALLEY, a story far too removed from real life to accurately reflect anything of it. If we are looking for LIES to tell a GENERAL TRUTH then we must find a balance, a sweet spot between reality and artifice that allows truth to be spun from fiction, the universal from the particular. I’m reminded of that movie written by that guy who grew up in Modesto, California with dreams of becoming a racecar driver while all his friends spent their dead-end lives simply cruising around the Malt Shop. His dad wanted him to join him as an office supply salesman and never quite understood his son’s wanderlust, leading to increased conflict between them. As a student at USC film school, this writer actually got to write about that experience growing up. What do you think he called this deeply personal work? If you answered Star Wars, gold star to you. George Lucas made a very personal film by taking his real feelings and concerns, and placing them within a fiction. By doing so, he made those experiences universal, by dwelling not on the facts of his adolescence, but on the truth of it. As screenwriters, we must find that proper proportion of CREATIVE INVENTION and PERSONAL TRUTH. That balance allows an audience to laugh and cry and scream, and say, ah, that is my experience up there on the screen. The personal truth makes it real, authentic, and believable. But the creative invention makes it universal, relatable, and accessible. So while screenplays may contain lies, the spark that creates them must be a truth. A truth about YOU. Not just your experiences, but your passions and interests. Your fears and obsessions. What you dream about. What repulses or consumes you. But above all, the idea must be predicated on something personal that you care deeply about—or you will never have the necessary investment to devote the blood, sweat, tears, and time required to see it through to the end. That then is the most basic and essential quality of a solid movie premise: If a screenplay is made of lies to get to general truths, then its foundation must be a truth about YOU that has been transplanted into a fiction, allowing it, through your experience, to relate a universal one. And if you don’t believe me, go ask Aristotle. One of my favorite literary topics to discuss is weird fiction. Why are some writers drawn to the fabulist, the speculative, and the strange? 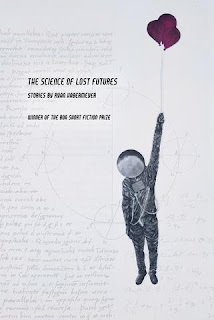 I’m certainly one of those writers myself, and so is Ryan Habermeyer, author of The Science of Lost Futures, which won the BOA Short Fiction Prize and was published earlier in 2018. My own story collection was also published by BOA Editions, so though Ryan and I hadn’t met before this year, we’re literary brothers of a sort. 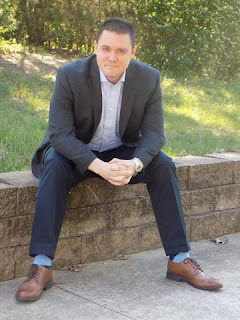 When he’s not writing, Ryan is Assistant Professor at Salisbury University on the nearby Eastern Shore, where his specialties include, among many others, “Monster Studies.” Ryan joins us now at The Writer’s Center blog to answer a few questions about authoring far-fetched fiction, his influences, and the writing life. ZP: I’m going to start with the big, broad question: why weird stuff? RH: That’s a little like asking why someone is left-handed. I’m not sure we choose our aesthetic obsessions. There’s a mysterious instinct to it, or so I want to believe. Weirdness is something I feel innately drawn to. That’s not a very satisfying answer, though, so I would add that since I was a child I always wanted to be elsewhere. Someplace different. I daydreamed considerably. I found relief in odd things, grotesque things. My friend and I, for example, used to snap Polaroids of road kill and turned it into a photo album. We were very popular with the girls. Somewhere along the way, subconsciously I think, this leaked over into my sensibilities as an artist. I decided the purpose of art—whether it’s literature, music, painting, sculpture, whatever—is to make life strange. Depict real things, familiar things, but strangely. Estrangement. That’s the key. Estrangement pulls us away and brings us closer in the same breath. I love seeing things, reading things, that wrench me out of my routine. You look away but you can’t look away. Isn’t that what literature is supposed to do? Make us uncomfortable while simultaneously desperate to see the object of our discomfort. That’s what weirdness does for me. The weird is the real. Or in the least it’s what lies behind the façade of realism, of normalcy. ZP: There’s a certain dark logic to fairy-tales, and I think I see that in your writing. Instead of moving forward through cause and effect, I feel your plots are often driven by cause and comeuppance. Many of the stories are about paying a price for actions or desires. Is this something derived from fairy-tales? How does a fairy-tale differ from, say, contemporary realist fiction? RH: You’re not the first person to point out the lack of cause and effect in my writing. Which is odd because I think of my stories as very much contingent upon cause and effect. What throws people off, I suppose, is that the effects in my stories are quite random, sudden, inexplicable, chaotic, without any correlation to the cause in question. A giant foot washes ashore in town. What do we do? Well, we clean it, of course, and try to assign it an identity, and empathize with it to come closer to this monstrous tragedy. But the one thing that can’t happen in that story (the most natural and normal instinct) is to dispose of it in a biohazardous-friendly manner. You can’t pursue that rational impulse if you’re going to have interesting speculative fiction. Or, in another one of my stories a woman wakes up and discovers her womb has fallen out. Quick—call the doctor? Nope. That story is D.O.A. So you’ve got to pursue a sideways logic. And, yes, you’re absolutely right: such tangential cause/effect relationships are very much a fairy tale motif. It’s the strange logic of fairy tales to defy our rationalist, scientific perspective of cause and effect, which is why I think they’re so lovely. There is a beauty to the randomness of fairy tales, a harmony to their chaos I find satisfying and truthful. With realist stories you're tethered to existing reality. If you write a story set in, say, Iowa, then you had better depict Iowa flawlessly. Those are the rules. But I think there’s more to learn about life, about ourselves, when we deviate from realism by following that unconventional thread of cause and (illogical) effect. Like going down the rabbit hole. ZP: What drew you to the fairy-tale form as an influence for your writing? RH: Well, I’m not a fairy tale revisionist. I’m not Angela Carter (but I love her work!). Fairy tales manifest obliquely in my writing. I’ve always been drawn to the imaginative quality of traditional tales. I love the imagery, the narrative leaps, the grotesqueness, the playfulness of the genre. I love how fairy tales invent reality and make it seem as if what happened was historical fact. And they’re instructive for writers, stylistically. Fairy tales are not all magical indulgence. They teach us something about creative restraint, which I think is incredibly important for those of us who are fabulists. Magic is used sparingly in fairy tales, and often comes with a price so if you use it, beware. Lately, though, I’ve been attracted to the form of fairy tales more than their content. The flatness of characters. Lightness. Brevity. Compression. The elegant simplicity of fairy tale language. Eschewing showing for telling. My current projects try to capture a mood, an ambiance of fairytale-ness. One of my incredible former professors, Kate Bernheimer, talks about these very elements in an essay she wrote: “Fairy Tale is Form, Form is Fairy Tales.” It should be required reader for anyone serious about writing, especially those aspiring to be fabulists. ZP: What other writers of the weird would you recommend to someone who may not be familiar with speculative literary fiction? RH: Before I go on endlessly about great weird writers, let me say I benefited considerably from reading realists. Weirdness, fabulism, magical realism, slipstream—whatever you want to call it, is grounded in realism. It’s not a complete abandonment of reality. Writing weird fiction is about inventing reality. Raymond Carver, Alice Munro, Amy Hempel, and Joy Williams are wonderful realists. As far as literary weirdos…there are the obvious choices: Calvino, Borges, Kafka, Marquez. Bruno Schulz is one of my favorite writers ever. On this side of the pond: Aimee Bender, Karen Russell, Kelly Link, Helen Phillips, Kevin Brockmeier and Steven Millhauser do a particular kind of American fabulism. Should I keep going? Read Russians. Nobody does weirdness better than the Russians. Gogol, Bulgakov, Nabokov, Kharms, Krzhizhanovsky, or someone more contemporary like Ludmilla Petrushevskya. She’s amazing. There are times when I lament I am not a Russian—but probably because it is my dream to ride shirtless on a horse reminiscing about my time in the KGB. ZP: Let’s talk publishing. If I recall correctly, some of the stories in your book are over a decade old. Can you talk about the long haul of writing and compiling a story collection? RH: I wrote the oldest story in the collection in 2004. So, yeah, it took a while. I’m not bothered by that. Hats off to those people smarter than me that figure it out quicker. To be honest, I’m not sure I could have arrived at the collection sooner. I’m slow. I’m meticulous. I’ll sit on a single word in a sentence for two days before going on to the next one. I want the right words in the right places. It took me a while to find my voice, find my aesthetic comfortability. And then it took a while to puzzle out the collection. Compiling a story collection is a strange beast. You want stories that resonate with each other, build off each other, but also dissonance; stories that feel incongruent, stories that clash thematically or stylistically. It’s all about finding balance. I kept plodding along for years, publishing pieces here and there, waiting for the right combination of stories to manifest. Writing is a long, lonely process. It might take me another decade to get the next book out. So be it. ZP: What keeps you writing? RH: Somewhere, I read Toni Morrison said something like this: if there is a book you want to read that has not yet been written you must write that book. That should be motivation for every writer. It’s hard to argue with Toni Morrison. ZP: What’s one piece of writing advice you’d give to an aspiring author? RH: Read. You’ve got to be in love with words if you want to be a writer. Otherwise, don’t bother. Read old stuff and read new stuff. And when you read pay attention. Writing fiction is not just about plot and characters. It’s about structure, it’s about form, it’s about style, it’s about voice. Read, because the more you read the more voices you’ll discover and then you’ll borrow and steal from all those writers to create your own voice. So, read voraciously. Oh, and stop writing fan fiction. It doesn't count. Whoops. That's two pieces of advice. Feel free to disregard me entirely.